Good day, fellow polish nerdies! 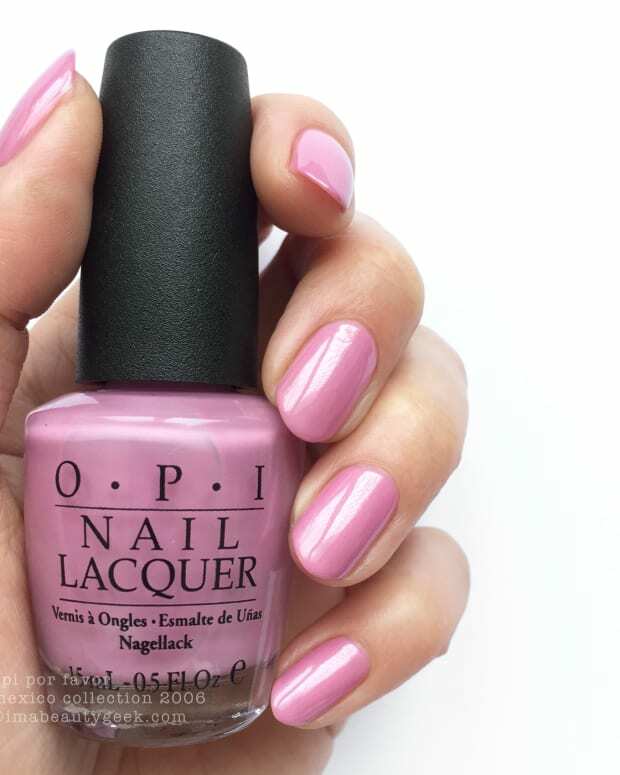 It&apos;s a fun day because today, I’m showing you a polish from The Archives that I didn’t choose! And when my Instapal @nailsenvacances said to hit “the first Helmer on the left, the third drawer from the top, fifth row from the front, and sixth polish from the right”, I totally did. What did I land on? 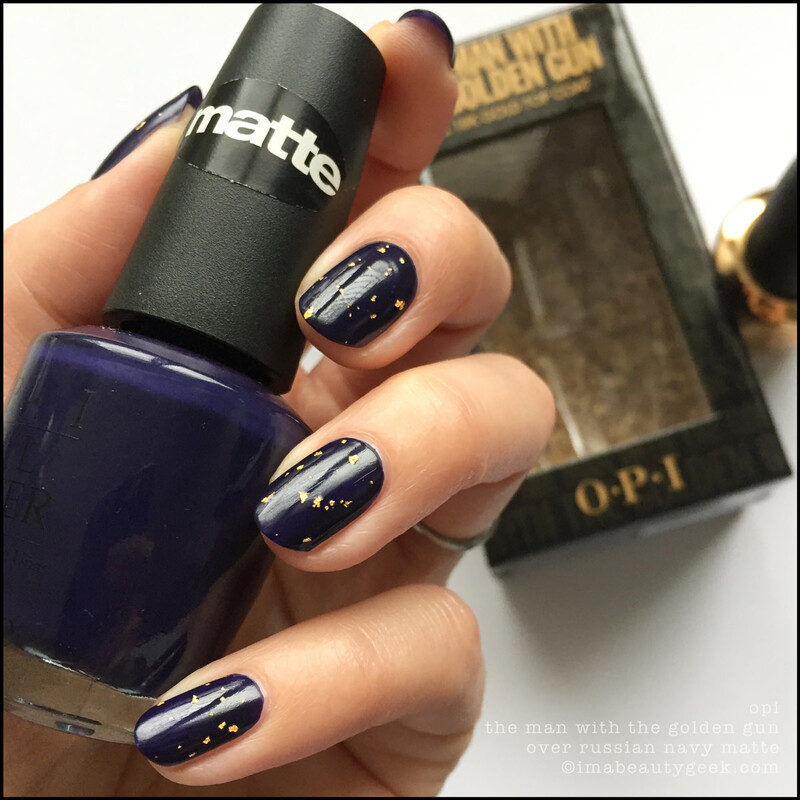 Why, my bottle of OPI Russian Navy Matte from the 2009 Matte Collection! 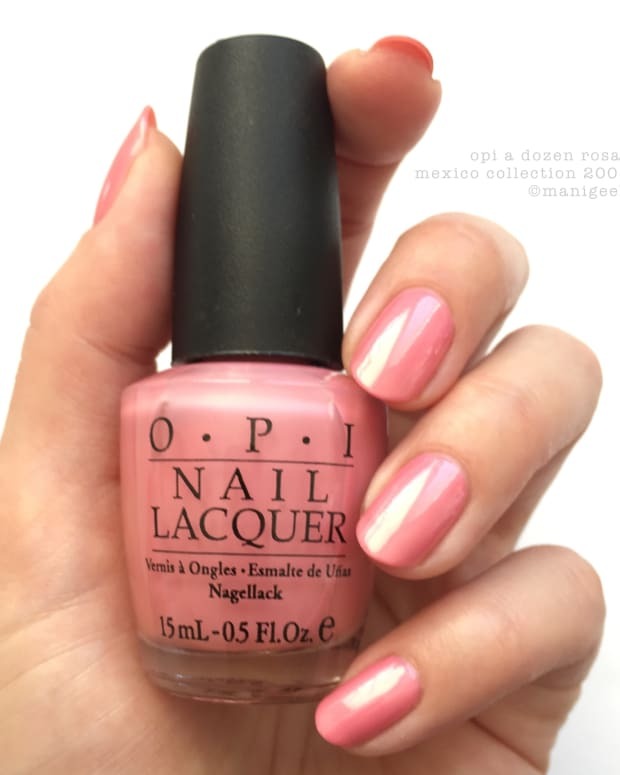 You and I both know matte polishes don’t wear particularly well, so if you’re looking to extend wear, you need to be sure to cap the free edges and then slap a top coat over. How about something like The Man With The Golden Gun from the 2012 Skyfall Collection? Aw yeah! Or, if you want to keep your matte finish and extend wear, use a regular top coat, let it dry, and then use a matte top over that. Ta da! 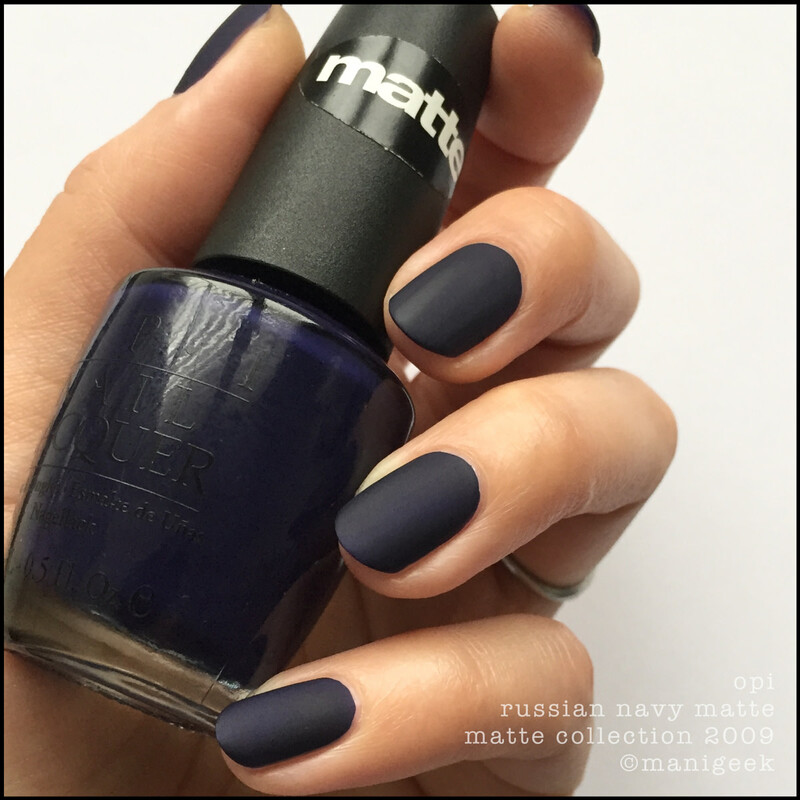 Longer wearing matte! I know, right? Sometimes I have really good ideas! So? How do we feel about matte polishes in general? Do we like? Do we hate? Do we always have trouble with them? Would we rather buy regular finish and then matte? Gah! So many questions! Oh yeah... this part that I always almost forget: can you still get these shades? Sure! eBay has both (but you’ll pay a pretty penny there), or, you can hit my favourite SparkleCanada.com – he’s got ‘em too.